From 7th September 2017 to 7th October 2017 is the eighth month Ji You (Yin Fire Rooster) of the Ding You year (Yin Fire Rooster year) with the ruling energy of #1 in the central grid. 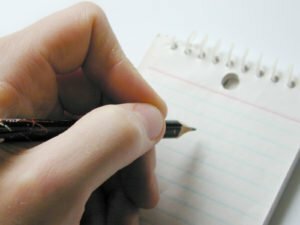 During September 2017, we have the annual and monthly stars line up and if you have your annual cures and enhancers in place, there is nothing you need to do this month. I have added the annual analysis or 2017 below as this is a very in depth article on how to make the most out of the flying stars for September 2017. Kan 1 White In 2017 resides in the centre. Kan #1 is a water element. In the physical body it is the ear. Internal organ it is the kidneys and it is also blood. Kan water #1 (tan Lang) has flown into the centre of every home and office around the world for 2017 and the centre has an inherent earth energy and from a five element aspect, this can cause conflict and whilst I believe there may be conflict in the year, I do not think it will be that bad, especially if you follow the advice here. If you activate certain areas of the home it can bring in new opportunities, gains in financial investments, academic achievements and scholarly pursuits. The intensity of these attributes will differ in varying degrees according to the influence of the visiting monthly stars. 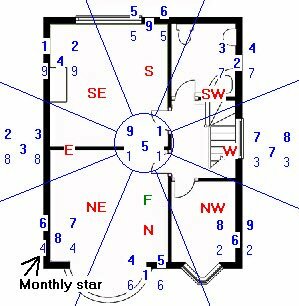 It is awkward when an auspicious star flies into the centre of a building as the centre is usually an area that is open or can fall in to several different rooms and this can be hard to place enhancers. If the centre of your home is the middle of your dining room or lounge, bedroom or other important room this is good news as the positive energy can permeate the rest of the home once you place some enhancers. 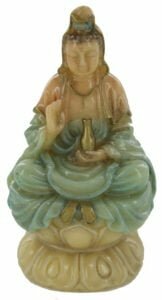 If the centre of your home or office falls in to a child’s bedroom or study area this year, you should place a Ru Yi golden wealth enhancer and gold Tsai Shen Yeh statue as this protects wealth and also creates new wealth in 2017 in your home or office. 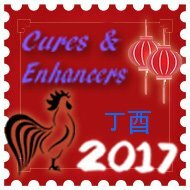 This powerful and time-honoured cure should be placed in the centre in 2017 to enhance wealth and relationships over the year of the Rooster. The centre must have some potent cures in 2016. A Ru Yi is also used to deflect poison arrows and it is also known as the “sceptre of office” and traditionally in China, it is placed on an office/study desk giving you total power which is why we have supplied this as standard with all of our Annual Cures and Enhancers kits for 2017. When using colours for the centre in 2017, blue would be a good colour scheme to use in this area. There are many different ways to introduce blue in to your home or office this year and the most common ways are to introduce blue using bedding, throw-overs, lampshades, pillow covers, rugs or chairs etc. Although unlikely, but if a bed is located in this area, remember to place a brass wu-lou beside the bed. 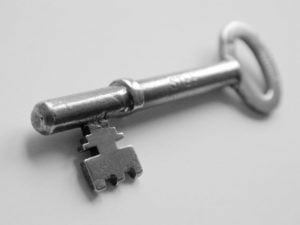 Businesses that rely on sales or related to industries selling properties, stock or similar should be cautious this year and make sure you place all of the appropriate cures in the centre but also in the south and northwest part of your building especially so if they have a main door here. The best months are April, June, September and November. Take extra care in the months of May, July, August and December and check back here to further analyse these months. Try to introduce some blue, black, grey or charcoal colours. The northwest in 2017 is not a very nice area at all and if possible, it is best left alone although I know that it is easy for me to say which is why we write the annual flying star recommendations each year as not everyone has the luxury of moving bedrooms or offices. If you have a bedroom, office or other important room in the northwest and unable to move out please read this section carefully. If the northwest of your home or office falls in to a bathroom, utility room, guest bedroom or other less important room, do not panic this is great news for you and the effects will be much weaker than if you have a bedroom, living room or office in the northwest this year and for my home, this is a spare bedroom and downstairs a part of our main reception room so I am not too happy although not all concerned as I will be placing my cures and enhancers in the northwest so it should not cause us any problems. 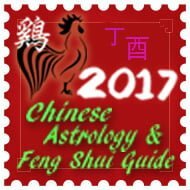 If your front door, bedroom, office, lounge or other well-used room is located in the northwest in 2017, please read the advice below as the #2 annual star can be very volatile when activated during the year of the Rooster. This star affects the health of the occupants of the house or office and can bring with it sickness, disease, bad luck, stress, stomach and digestive problems, bloated feeling, gossip, back stabbing, family harmony and distress. This is especially so for people who are a Gua #1, 3 or 4. Check on this page if you do not know your Gua number https://www.fengshuiweb.co.uk/advice/8mansions.htm or if you have our software you can calculate your Gua and best directions automatically by putting in your birthdate and gender. For the northwest of your home or office in 2017, you need to place a salt water cure, Wu Lou and six Chinese coins tied with red ribbon, metal singing bowl and also place more round metal decorative objects (provided they are not menacing looking, round shape metal is good) to dissipate its negative influence in the northwest corner of your home or room. 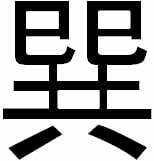 The most powerful cure you can place in the northwest this year to weaken the effects of the #2 annual star is the Shi Dong Wu protection amulet. This is a very traditional and authentic cure that when placed in the northwest in 2017, can enhance and protect wealth, health, and career as the 2 black is a very unstable star and when disturbed with loud noises, its malevolent influence can bring many disaster, sickness, lawsuits and major loss of wealth. 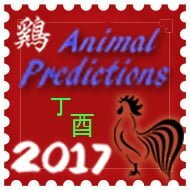 The 2 black flying in to the northwest during the year of the Yin Fire Rooster 2017 and can have an impact the eldest male of a home or office and normally associated with a father (patriarch). A gold coloured three legged Toad is very effective at not only reducing the bad earth but can also protect your wealth for the year. Make sure there are no red items, bright lights or burning candles in the northwest in your home or office as the fire element will feed the earth and activate the malevolent effects of the #2 star. If you already have these colours in the northwest, it is best to remove them but do not worry too much if you can’t, just introduce metal colours such as white, silver, gold or copper in the way of a floor mat, cushions, throws, tablecloth or any other way you can think of. If you have a main door that falls in northwest in 2017 you would also be advised to hang a Ba Gua mirror outside to deflect the negative energy. Ladies expecting their first born should try and avoid using this bedroom. If there is no choice, try to use a good (north, east, northeast or southeast) sector of the room and implement the necessary cures. You should also sleep with your crown of your head in your personal Tien Yi direction. If you cannot avoid using the room or the corner of the room in the northwest this year, you should place a brass Wu-Lou beside your bed. The brass Wu-Lou (also known as a calabash) gives elemental support to the northwest (metal) and also symbolises good health and dissipates the negative energy of the #2 star. Because the northwest is associated with the patriarch of the home, the eldest male member of the home or business can be affected so make sure if they sleep, work or spend extended periods of time here that all cures area placed. More importantly, do not decorate the northwest room with red colour or triangle shapes items and most important avoid burning candles or leaving bright fiery coloured lights on for too long during the year 2017. Avoid activating this area with loud noises; keep quiet and avoid at all costs building work or refurbishment. Do not use the fire element or colours red, pink or purple. Keep doors closed. Place a Wu Lou, salt water cure, gold Toad, wealth ingot and six coins here along with metal ornaments. Use colours such as white, silver, gold or copper or any other metal colour. I will repeat this part, as it is so important, please keep the northwest of your home quiet, and avoid redecoration and building work in 2017. Better months are March, May, July, October and December. Take extra care in the months of February, April, June, August, September, October, and November. You do not need to place dragons and bells all around your home or office; you can use any metal ornament as long as it is not sharp or aggressive looking, and believe it or not a good cure is a round metal dog bowl or weight lifters weights. Place a gold coloured three legged Toad with i-ching under. The Sun wood 4 occupies the northeast palace for 2017 and this is a conditional star but it is auspicious in Period 8 (2004 – 2024) and governs romance, travel, creative, academic and artistic talents, wisdom and intelligence as well as self-development when activated correctly. If you want to enhance this wonderful star, you would do so by using a yin water feature or introduce some water colours such as blue or black. This is a good area to have a pair of Mandarin Ducks, Dragon headed Tortoise or photos of you and your partner/family. A yin water feature is fresh still water and the ideal example of this would be indoor bamboo shoots growing in a small amount of water or fresh flowers in super clean water. When using a Yin water Cure in the west in 2017, you should use a blue, grey, charcoal or black vase. You can also use just a normal bowl of water, whatever you use, the water must be kept squeaky clean as if it becomes stagnant even slightly it will cause you relationship problems. The water must not be moving though unless a professional Feng Shui master has advised you or you use our Feng Shui software. A crucial cure for northeast is a blue coloured Kwan Yin. This is a special enhancer and cure and needs to be placed in the northeast in 2017 to protect and enhance relationships and career and also to protect against physical and psychic attack. Sadly you cannot just any Kwan Yin statue, she must be of a certain width, stature and colour as we neem a light water colour to enhance this lovely #4 relationship star that falls in the northeast in 2017 which inherently is an earth element. We have included these standard in all of our Deluxe 2017 cures and enhancers kits. Without cures, this 4 star can bring both wanted and unwanted romantic opportunities to the household if the cures are not put in place. Having a door in the northeast combined with the relevant cures and enhancers in place can bring in new opportunities and lots of travel. You should not use fire or metal in this area or colours such as white or silver. Do not worry if you have these colours already just introduce colours blue or black in the way of a floor mat, cushions, tablecloth or such like. As in every star, the 4 Green has a positive and negative aspect to its nature. Although a favourable annual star in 2017, it can also be affected by the presence of an unfavourable monthly star and when it does, this can denote betrayal, heartbreak, scandal and humiliation in affairs of the heart. The affected months in 2017 are June, August, October and November so please be sure to keep an eye on our monthly updates on the website. Treat this area as your relationship and creativity area for 2017 it can be very good for you. If the northeast is an important area like a main door, lounge bedroom etc please keep it is clean and clutter free as possible, believe me it makes so much difference. One of the most vital cures and enhancers in 2017 is the Xin Xiang Shi Cheng Wish and Romance enhancer and we had to have this specifically created and engraved with a very special talisman charm which enhances peach blossom which is so important this year with the #4 romance, career, wealth, academic star in the northeast palace which inherently is an earth area and this can cause conflict and this very special cure and enhancer is essential to ensure and strengthen and protect romance/relationships, career and academics are protected and enhanced in 2017. Avoid fire element and colours such as red, pink or purple. Good colours are blue or black. If you wish to enhance areas of creativity and academic achievements, place or hang moving objects to enhance the Ch’i of this sector, do not use wind chimes though. 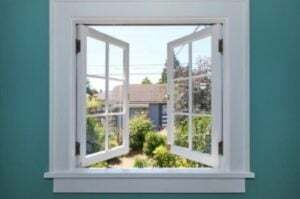 Keep area semi active with windows occasionally open. Do not use metal items here especially wind chimes from the 2017 cures. Spend time in the northeast if you want to enhance romance, creativity or academic pursuits. Avoid displaying too many metal objects here, especially large heavy ornaments. For those who know me will, they will know that I am very different in the way that I deliver the annual advice compared to other Feng Shui experts. I do not like to use scare tactics or push sales on people and firmly believe the power of the mind is as powerful as Feng Shui and providing you have good intentions, you can turn bad into good; sadly this year the south is not good at all and my advice is treat the south with extreme care in 2017, good Feng Shui is actually also being aware of potential problems and whilst it may sound uncharacteristically negative of me to talk so down about the south, it is my duty to let you know how bad it can be this year. Even with all this negative talk, I have my main office in the south and I am not worried so if you follow my advice and take the same attitude, you only need to concern yourself with my advice if you have an important room like an office, bedroom, lounge etc. The advice I have given over the last eighteen years always comes from the heart and I try to make sure that those who do not use traditional Chinese cures like a salt water cure or six Chinese coins tied together with ribbon always have an alternative. Use plenty of good quality metal in the south this year and make sure you cleanse all your cures an enhancers before placing them. As I mentioned above, I will be taking care when treating the south this year as this is where my office is located; am I worried about it? Absolutely not. I will be making sure that I have my Salt water cure, Six chinese i-ching coins tied in a row, six rod metal wind chime and Shou Hu Shen Metal lily are all placed in the south for the year and will be keeping noise to a minimum when possible. Do not to disturb its position here with noisy activities, renovations or maintenance work. Houses with gardens to this corner of the property should avoid disturbing the ground with major digging or building work. The annual five yellow star has flown to the south in 2017 and with the Annual #5 yellow enter the south this year, we have the inherent fire energy of the south feeding the visiting energy of the #5 earth star which can automatically amplify all of the problems that the #5 is known to bring such as sickness, lawsuits and major loss of wealth so it is crucial that the south has as much protection as possible and is also kept as quiet as possible. I strongly recommend that you do not disturb the south of your home or office with noisy activities, renovations or maintenance work. When the Five Yellow is disturbed this year, it can bring disaster, sickness, lawsuit and major loss of wealth so please be very careful in the in 2017 as it is very afflicted. 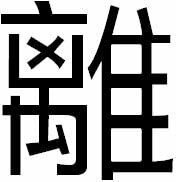 You must place a set of six Chinese i-ching coins tied with red ribbon, a six rod hollow metal wind chime and a salt water cure in the south to avoid the problems that are associated the #5 yellow disaster star in 2017. The most important cure to place in the south this year is the Shou Hu Shen Metal lily. 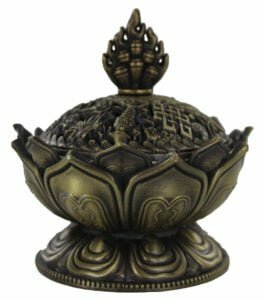 This lotus shaped metal vessel displays the eight auspicious symbols and is such an important cure to use this year. The most important aspect of this Feng Shui cure is the lid with the eight auspicious symbols and mounted on top of the lid is the representation of precious Jewels. The eight auspicious symbols primary role in 2017 is to protect but it is also said to bring large treasures, good luck, spiritual growth, peace and harmony and contentment. If you are using colours in the south this year, you must not place red objects, bright lights, candles or red coloured furnishing in this sector. 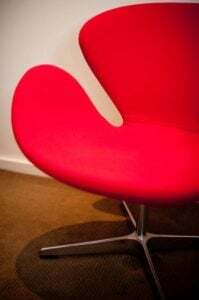 Do not worry if you already have these colours in the south of your home or office, just try and introduce colours like white, silver, gold or copper; these can be introduced in the way of a floor mat, cushions, throws, tablecloth or such like. You can also use dark blue or black if you prefer. If you have a room that is not used for long periods of time such as a bathroom, cloakroom, en-suite, guest room or a large cupboard in the south this year, this is good for you as these areas are not used much and therefore the negative power is less likely to be activated. If you do have a room such as a bathroom in the south, I would still place the cures though. Summary: Do not activate the south this year with loud noises. Keep quiet and avoid building work or refurbishment. Do not use the fire element or colours related to fire such as red, pink or purple. Keep doors closed. Place six-rod wind chime, Wu Lou, 6 Dragon Pagoda, salt water cure and six coins here along with metal ornaments. Use colours white, silver, gold or copper. I will repeat this part, as it is so important, please keep the south of your home or office quiet, avoid redecoration and building work in 2017 in the south part of your home or office and when you hang your wind chime try not to make so much noise with hammers etc, don’t worry about the noise the wind chime makes, this is all part of the cure, so when it is in place try and remember to knock it a few times a day. Take extra care in the months of February, March, May, July, September, November and December. Avoid playing loud music in the south of the home or room in 2017. Place a salt water cure in the south of the building along with six Chinese coins tied in a row with red ribbon and six hollow metal rod wind chime. Place a Brass Wu-Lou in the south corner of the room if this is your bedroom. Most of all, avoid disturbing the south at all costs. Any form of renovations that needs to be done, plan it for another year. It is worth keeping this in mind. Tsai Shen Yeh (God of wealth) in a gold colour is very effective at not only reducing the bad earth but by also protecting your wealth for the year in the south. Replace or at the very least cleanse your Ba Gua mirror in the south especially if you have a door here. If you have a main door in the south make sure you oil the hinges and try not to let it bang shut. 6 White is a benevolent money star and as an annual star, its position in the north in 2017 is excellent for career, wealth, politicians, leaders and anyone involved in the property market, so for those with a main door, office/study in the north will benefit greatly. This year this #6 star can bring more success for anyone with an office or main door in the north. Those who have main doors or offices in the north sector can expect excellent business and career success when the north is activated correctly this year. However, whilst 6 White represents accomplishment, if the #6 annual star is located in a bedroom it can cause problems with the liver and/or legs. If you do have a bedroom in the north in 2017, place some blue cloth like a rug or duvet cover to dissipate its energy. 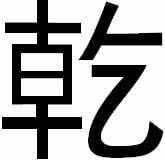 A stunning and very powerful cure for the north in 2017 is the Ba xian Ba Gua protection talisman which is an extremely powerful and much needed cure and enhancer in 2017 for when the Annual #6 star flies into the north creating problems for wealth and luck. The north is a fairly neutral area for wealth in the year of the Rooster and in order to make finances as prosperous as they can be this year, we need a very special powerful metal Cure of an exact combination to enhance the #6 annual water star and strengthen the bond between the two elements and his is a crucial cure and enhancer to place. Take extra care in the months of March, April, October and December. This is a nice area and even better if your main door or office is located here, keep area active with windows and doors open. Good colours are earth colours such as yellow. Place some real quartz crystal here or the hanging faceted sphere type; these are very good for activating the wealth and business side of this nice star. Place a set six Chinese coins tied together with ribbon this year especially for the months of October and April 2017. Real quartz crystal is very good in the north for 2017 as is faceted crystal spheres. The 7 red star has a negative influence in Period 8 and can bring a lot of problems to homes and offices around the world in 2017 if not treated carefully. The trigram Tui is also known as ‘Broken Soldier’. This is a fighting star. When combined with another untimely star, its negative nature denotes assault, deceit, violence and robbery. This year 2017 it falls into the earth element of the southwest which is actually quite nice and we can turn bad into good here with the following advice so please read this carefully and implement the appropriate cures and enhancers before the start of the year. Whilst some good will come from this star the #7 Red still portends a high risk of burglary, deception, copyright theft, gossip and back stabbing especially in the months of February, April and May. If you have a door in the southwest or even a window you should be looking to update security, smoke alarms and checking electrics. An essential cure and enhancer for the southwest in 2017, year of the Rooster is the Ba Bao eight treasure coins in circle Amulet which are tied together with red ribbon and strung in a circle together and hold very strong power to attract new wealth in your home or office and can help to strengthen and protect existing wealth in your home and business if placed in the southwest in 2017 as the shape of this cure is a metal shape and helps to appease the #7 water star in 2017. This year, we have included the Ba Bao eight treasure coins in circle Amulet as standard in all of our annual cures and enhancers kits. You should also a hang a Ba Gua mirror with a Chinese i-ching coin on the rear for added protection in 2017 but only do so if you have a main door in the southwest. As I have said before, please take extra security measures and this is especially the case if you have a front, back or side door in the southwest sector in 2017. Make sure doors and windows are fastened securely before leaving the house. Do not display valuable items on windowsills, which may attract the interests of passers-by. It pays to be wise this year and avoid taking too many risks for there may be unscrupulous people working against you. There are indications of misunderstandings, pressure and business rivalries that could also lead to losses. 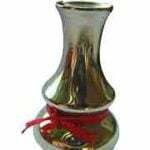 Another extremely powerful cure for the southwest in 2017 is the San zhong three bell chime and you should place one of these exceptional cures in this area (southwest) of your home or office to avoid problems. This really is one of the most protective cures you can use and is also a very powerful enhancer for protection against legal problems, arguments, disputes and loss of wealth in 2017. The best advice that I can give is to make sure that you check or install smoke alarms, check electrics and check the security of windows and doors in the southwest. Summary: Keep area quiet and doors and windows kept closed. Good colours are blue or black. Avoid earth and fire colours and quartz crystals. You should try to introduce some blue colours in your decoration. 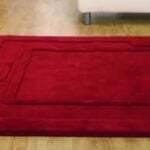 You can introduce the colour by using cushions, rugs, bed covers, doormats or anything else you can think of. Do not use anything that is associated to the fire element or colours such as red to control it as this may aggravate it. Place a Ba Bao eight treasure coins in circle Amulet for protection in 2017. This is the governing flying star for the next eight years of the lower era of the sexagenarian cycle of the flying stars system and is located in the east for 2017, so if you have a door, office or any other important room in the east this is great news for you although we also have the Three Killings and Sui Po located here so care will be needed and if possible, you should try using another door this year although this is easier said than done for the majority but If you have all of your cures and enhancers in place, you can still activate the #8 star and leave Sui Po and the Three Killings undisturbed. The Annual #8 star can be activated by human activity and normally, it would be encouraged to use this room as much as possible and with Sui Po and the Three Killings here, this room must be kept calm and quiet which is why the right cures and enhancers are so important in the east this year. Although the #8 is a very auspicious star in period 8, this is somewhat spoilt though as the #8 star is associated with the earth element and sadly the east is a wood element which places the two elements in conflict but we will advise you on how to improve this. Wealth, fame. Romance, prestige and distinction can be expected especially if you have an office here or a main door, even if you do not we can still activate it. It brings good fortune and exciting times even with the conflict of elements. If you work with symbols, quartz crystals, crystal balls or hanging faceted crystals are good for this east palace this year. The #8 star also governs relationships so a nice romance enhancer is a pair of rose quartz double hearts or a pair of Mandarin Ducks this year. The east in 2017 has a wonderful auspicious wealth, good luck and romance (career) combination and this needs a very special enhancer and protector to activate this lovely combination creating wealth and good luck and also protecting it, the enhancer needed is a Huo Zai Dragon and Ru Yi of a certain size and posture protecting a Ru Yi for prosperity and protection. Unfortunately you cannot use just any Dragon and the reason why we had these commissioned to a specific size, posture, colour, quality and weight, they really are very beautiful and would fit in perfectly with any home or office. We have included this in all of our annual cures and enhancers kits this year as this really is a vital cure for wealth. 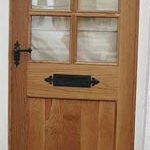 If you have an east facing property with your front doors to the east, you must be careful not to allow the doors to slam when entering or leaving and do not renovate or dig in this area for 2017. If you have an office or shop door in the east this year, I would recommend installing a soft close attachment if possible. Whilst wealth is forecasted in 2017 for the east, beware of overworking as this can cause health problems. The extra work will bring a good income but be careful of your health; in particular stress related problems as this can bring high blood pressure or kidney problems. You should make time for your family as whilst it is nice to enjoy the success we can often overlook things that are far more important like the ones we love and also our health. If you are older you need to be careful with limbs and joints so please take care in the icy weather and no risky sports if you have a bedroom in the east. It is important that you try not to make any form of noisy renovations or re-decorative work in the east part of your house or office between February 3rd 2017 and February 4th 2018. 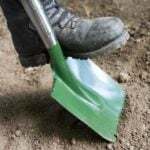 You should not disturb the ground by digging holes, digging foundations or conduct any maintenance work with any noisy equipment in this area inside or outside your property or garden. If you have no option but to perform work in the east, I would advise that you place a 6 hollow rod metal Wind Chime in the east in 2017 around the time the work is being carried out. This is the worst out of all the annual afflictions and in our home and business we take this very seriously as in our 36 years’ experience with Feng Shui we have seen some pretty nasty events from this energy when disturbed. The most powerful and important cure in 2017 you can place is the Caiyuan Guang Jin Master Cure. 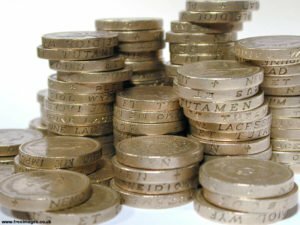 This cure is used to protect and enhance wealth and good luck in 2017, especially for the eldest son or male of the home or office if a son is not present and more so if you run a business from home although equally needed for females especially for wealth. This Cure is only known to a few specialist Feng Shui Grand Masters and in the old days and even now in Asia, you would need to employ a specialist Feng Shui Grand Master to call at your home or business where they would come along with a specialist zhuanke (seal carver) who would spend many hours carving the secret inscriptions on to the square earth plate in to a Lo Shu grid relevant for the Ding You year and would be carved on a large piece of translucent emerald-green Jade. The seal carver (zhuanke) and Feng Shui Master was traditionally hired by emperors and the very wealthy and was seen as a symbol of great wealth and power and this took many years of studying to perfect this specialist art form. We have included this in all of our annual cures and enhancers kits this year as this really is a vital cure for wealth. Do not place heavy metal in the east this year, as it will weaken the good earth. This is a very strong wealth, success and romance area for 2017 so try and store your important financial papers here like pensions, stock portfolio etc in the east in 2017. If you use symbolic cures this is where you should place your three-legged Toad facing your Sheng Chi direction for wealth a pair of rose quartz crystal hearts for romance. 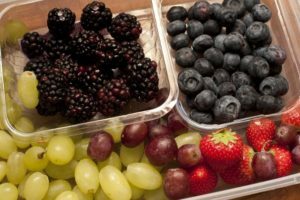 Take extra care with health in the months of March, May and June. 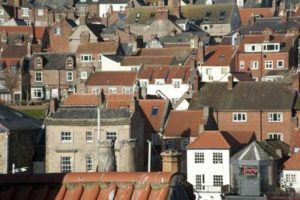 Keep this area quiet and try to avoid ground-breaking in the east for the year. Introduce some fire colours into the east to balance the energies, a quick and easy way is using bed covers, rugs, table covers, sofa throws etc. If your bedroom is here, you can also place an amethyst or any crystal items in the east of the bedroom to further strengthen the earth element of the benevolent 8. A good romance enhancer is a pair of rose quartz Mandarin Ducks in the east this year. Keep area active with open windows and doors (yang energy) although please be aware of noise levels. You Bi Li 9 Purple can be found in the southeast in 2017 and this heralds celebrations so be sure to make hay while the sun shines if you have a main door located in the southeast and because the two elements are harmonious, this really is a lovely combination so if you have an important room in the southeast in 2017, this is great news. 9 Purple is the star of future wealth and has an auspicious influence in Period 8. Career opportunities and promotions are possible and this is especially the case if you have an office or main door in the southeast in 2017. There is fame and acknowledgement, growth and improvement. This is a good area in general this year and especially for those in who are involved in studies in 2017. If this is a family area (living, dining or a library), you should try to encourage children to study here. Couples with a bedroom in this location can look forward to good relationships this year and there may also be a chance of producing intelligent children. If you want to enhance this further, you should place a statue of Kwan Yin in the southeast part of your bedroom. To enhance the influences of the southeast in 2017, you should place the Fo Xiang four Buddhas of prosperity and luck. 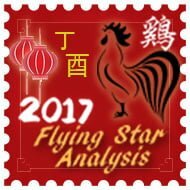 As we have the Annual #9 Flying Star fall in to the southeast for 2017 which can bring double luck as we have the inherent Wood element feeding the Annual Fire element which calls for a special and very powerful Cure and enhancer named the four Fo Xiang Buddha’s of prosperity and protection. Because the #9 star falls in the southeast, which is inherently a wood area, you have double the luck with wood feeding the #9 fire star and it must be activated with these four wealth enhancing and wealth protection Buddha’s. Although deemed as an auspicious star, the element of the annual #9 star can strengthen the malevolent effects of visiting monthly stars #2 and #5. 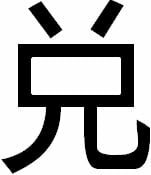 You should hang a set of six Chinese coins tied together with ribbon here to weaken the undesirable influences of the monthly stars #2 and #5 which will visit in April and July. Place the Fo Xiang four Buddhas of prosperity and luck to enhance the annual #9 stars effects this year.